Waaikraal shone brighter than the sun when the farm won the coveted award of ‘Best Emerging Seed Producer for 2014’ during the Klein Karoo Seed Production’s (KKSP) Gala ceremony held at the Queen’s Hotel in Oudtshoorn. This prestigious event was attended by most seed producers for KKSP, with Waaikraal’s farm manager, Jolian du Preez, amongst them. Du Preez received the award on behalf of Casidra who manages the farm on behalf of government. According to Casidra’s CEO, Michael Brinkhuis, this achievement proves the dedication and hard work of everyone on the farm and the support from our Regional Office in George. Klein Karoo Seed Production is a seed export company based in the Klein Karoo and specialises in the production of high quality vegetable, forage, pasture, agronomy and organic seed. KKSP contracts farmers to produce seed for them, which they then export. Two of the farms managed by Casidra namely Waaikraal and Amalienstein, are contract producers for KKSP. In 2013 Waaikraal produced onion seed for the first time with great success and has since extended its production in 2014 to 4.75 hectares of onion seed, 4 hectares of cabbage seed and 4 hectares of beetroot seed. The farm also planted 1 hectare of sweetcorn and tomatoes. These fantastic results were achieved and made possible by the co-operation between the farm management and KKSP’s professional technical services. 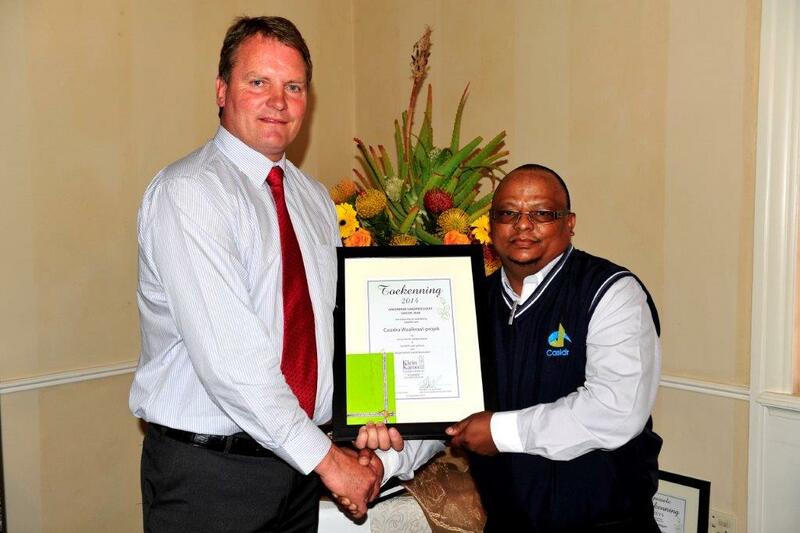 Johan Bronkhorst, Regional Manager in George, congratulated the farm manager and his team on this excellent achievement. KKSP reported that their turnover on seed production was 30% higher than in 2013 and payouts to contract growers increased with 54%, which seems to prove that Waaikraal is partnering with a winning team.